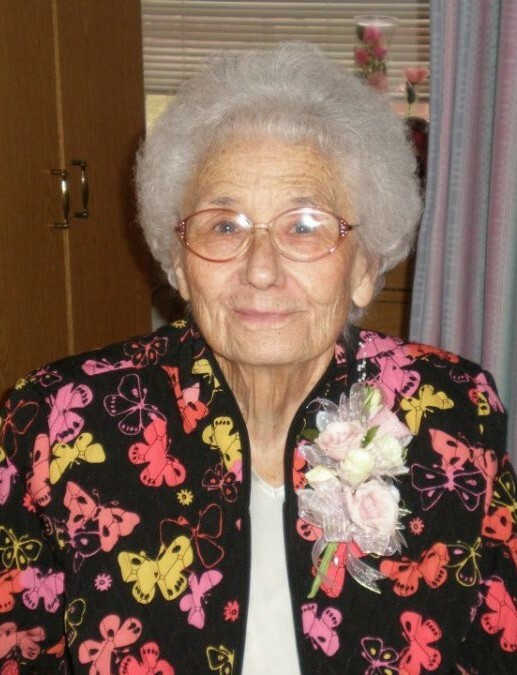 Ann Collier, 90, of Lakeview Christian Home, Carlsbad, New Mexico passed away on Wednesday, October 24, 2018. Ann Collier was born on March 10, 1928, to Jeff and Corrie Hamilton in Prescott Arkansas; growing up and graduating high school in Emmet, Arkansas. Ann and Leon Collier met in Hope, Arkansas, and married in Hempstead County, Arkansas on May 26, 1945. In 1948, Ann and Leon moved to Carlsbad, New Mexico. As a devoted wife and mother, Ann was a wonderful cook, baker, and canner, always ready to feed her family and friends. Her love of sewing allowed her to make many of her own clothes, and her garden grew many beautiful flowers and tasty vegetables in the summers. During community elections, Ann volunteered, and was an active member of Blodgett Street Baptist Church for many years. Many vacations were spent with Ann and Leon’s sons traveling the USA in their camper, enjoying nature and national parks. She loved to spend summers in Cloudcroft, NM and Texas with her family and close friends. Ann is preceded in death by her parents and two sisters, Joyce and Eloise. Survivors are husband Leon of 73 years, son, Dwayne, and wife Sandy of Scottsdale, AZ, and son, Allan, and wife Marie of Artesia, NM, three grandchildren, and five great-grandchildren.